Home / Christmas Blocks has a Guide! You are probably expecting this post to be about the last lesson of the Nutcracker. Well, the snow gods had a different plan. LOL. I’ll take photos today and we’ll be back on track. Until then, I have breaking news! 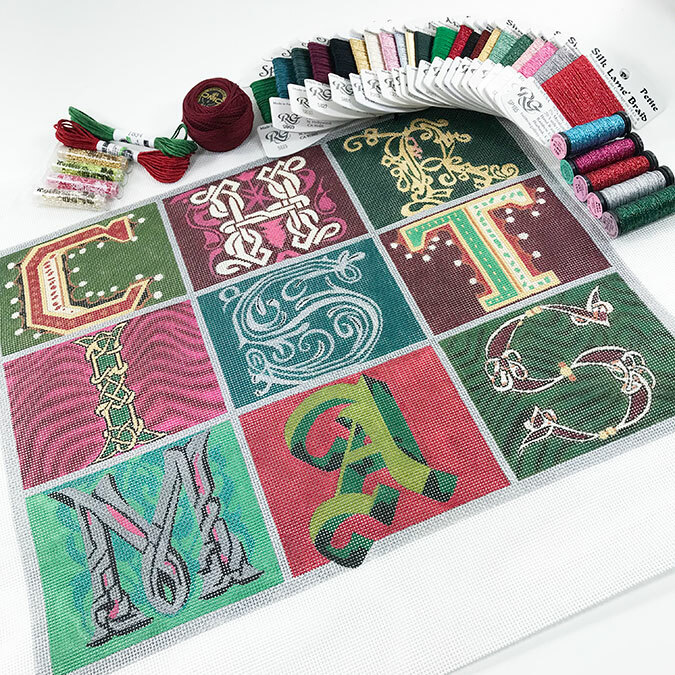 Mary Legallet has written a stitchguide for Diane Dirks Christmas Blocks! This has been a long-time favorite and now it has a guide. The guide is available separately, so if you already own the canvas, easy peasy. Look at all these yummy threads! « Previous: Look What We Did!